In the third match of the 2018/2019 UEFA Europa League group stages, Olympiacos are heavy favourites to defeat Dudelange, but the opponents from Luxembourg deserve respect. AGONAsport analyses the club. Watch LIVE from AGONAsport: Dudelange - Olympiacos, UEFA Europa League matchday 3 must-win fixture for the Erythrolefki on Thursday, October 25th. Details here. Dudelange will forever carry the tag of history makers. This summer, Dudelange became the first club from Luxembourg to qualify for the group stages of a senior UEFA competition, defeating Drita, Legia Warsaw and CFR Cluj in the UEFA Europa League preliminary rounds. No one expected Dudelange to somehow beat Legia and Cluj, but they sprung a huge surprise, defeating the two experienced European teams 4:3 and 5:2 respectively to send shockwaves across the continent. Formed in 1991, Dudelange are dominant in Luxembourg, winning six national championships since 2010 and a grand total of 14 overall. Alongside those victories, they’ve also regularly tasted glory in the Luxembourg Cup, lifting the trophy on seven occasions. In the 2017/2018 campaign, the club comfortably won the league, finishing five points above nearest challengers Progres Niederkorn but were knocked out in the third round of the cup. Over the years, they have competed in several preliminary phases of the UEFA Champions League and Europa League, but before this season they had only won four qualifying ties in the two tournaments combined and never made the groups. Dudelange’s largest European victory arrived in the 2012/2013 Champions League when they destroyed San Marino’s Tre Penne 11:0 on aggregate (7:0, 4:0). Dino Toppmoller is only 37 years old, but despite his young age, he’s proving to be an astute manager. Receiving the keys at Dudelange in 2016, Toppmoller has already steered the club to two successive league titles, one Luxembourg Cup and the Europa League group stages with a preferred formation of 4-2-3-1. Toppmoller’s reputation is certainly growing and he is the son of former Bayer Leverkusen boss Klaus Toppmoller. 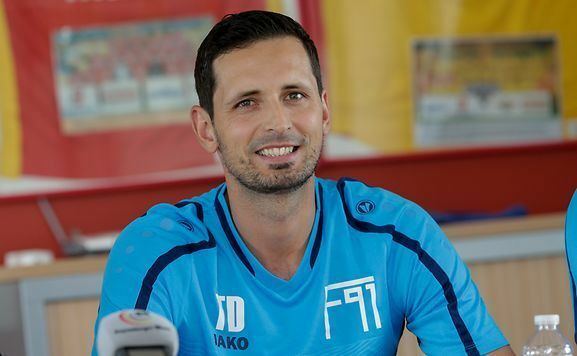 International striker David Turpel is widely considered to be Dudelange’s prize possession. In six Europa League qualifiers, the 25-year old tallied an impressive four goals, firing the team to the prestigious group stages with his vitally important markers. In four years with Dudelange, Turpel has struck a large 81 goals in 99 competitive matches, possessing a true killer’s instinct when presented with an opportunity. Turpel has also registered three goals in 40 appearances for Luxembourg’s national team. Dudelange’s net is protected by 24-year old Joe Frising. In the current season, Frising has caught the eye with his European showings, pulling off a range of clever stops against AC Milan and Real Betis in the Europa League. 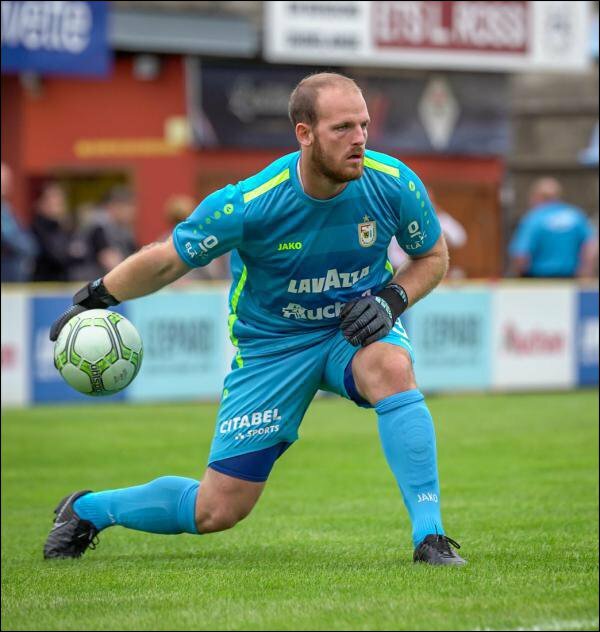 Frising transferred to Dudelange from FC Rodange in July 2017, and after starting out as the team’s back-up goalkeeper, he’s gradually progressed and is now the number one. Experienced Tom Schnell is a reliable figure at the back. Having represented the Luxembourg national team 48 times, the 33-year old centre-back has an adequate understanding of the European game, always competing with passion and leading by example. Schnell penned a deal with Dudelange in 2014 and made his name in the country when playing in over 100 matches for Racing FC. Initially, Dudelange began the campaign in the UEFA Champions League, however they were beaten 2:3 by Hungary’s Vidi. Nevertheless, they dusted themselves down for the Europa League adventure, seeing off Drita (3:2), Legia Warsaw (4:3) and CFR Cluj (5:2) to reach the promised land of the group stages. Dudelange lost 0:1 to AC Milan and 0:3 to Real Betis in valiant style in the opening two games of Group F.
Eight rounds have been played in the Luxembourg National Division, but Dudelange haven’t made the greatest start, sitting in fourth place and trailing league leaders Jeunesse Esch by four points. Dudelange have lost two matches while winning five and drawing one.